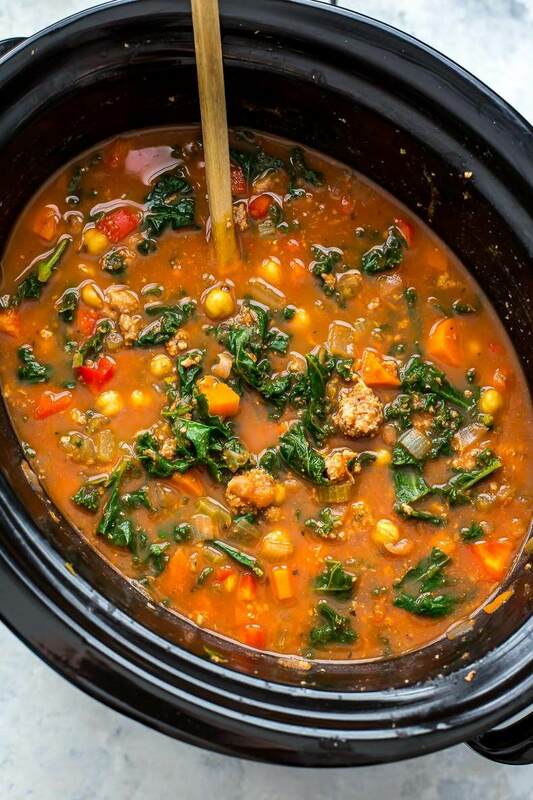 This Slow Cooker Tuscan Sausage and Kale Soup is a hearty, veggie-filled comfort food option for cold days - just dump it all in the crockpot then set it and forget it! If using storebought sausages, remove casings and break up meat. If making your own, mix together sausage ingredients and break up. Add to slow cooker, along with rest of ingredients except for red pepper and kale. Cook on high for 6 hours or low for 8 hours. When ready to serve, stir in red pepper and kale, then let sit for 3-4 minutes. Serve and enjoy!